Hey, all. It’s been a while, I know. Sorry. It’s been a busy summer. So, I was thinking about music and how a lot of my writing friends tell me they really connect with music while they write. It never really happened to me, but you know when you find the perfect song that goes along with a work in progress you’re trying to write and it all just clicks? Well that did happen to me about a year ago when I got this idea for story and remembered a song I heard that explained one of the character’s story. It was pretty cool to find that connection. 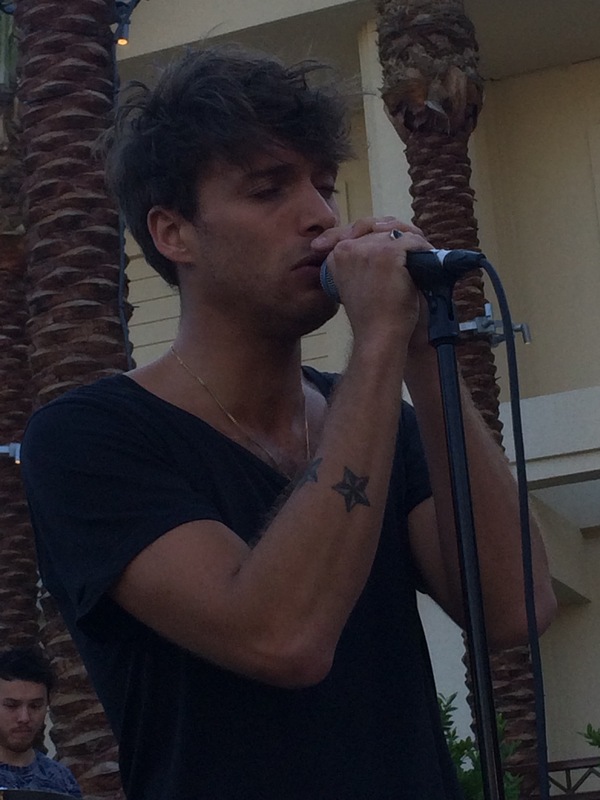 Even before I started writing that story, I had been obsessed with the musician, Paolo Nutini. He’s quite amazing and eclectic. And, well, it doesn’t hurt that he’s absolutely adorable. I’ve been to three of his concerts so far this year and am going to another Sept. 27th at the Wiltern. Cannot wait! I love that one of his older songs connects with my story and a few from his new release, Caustic Love. Gah, his new album is just as amazing, if not more so, than his older work. If you’ve never heard of him, I suggest you look him up on Youtube. He’ll blow you away. Here are some pictures from two of his concerts I’ve attended this year. 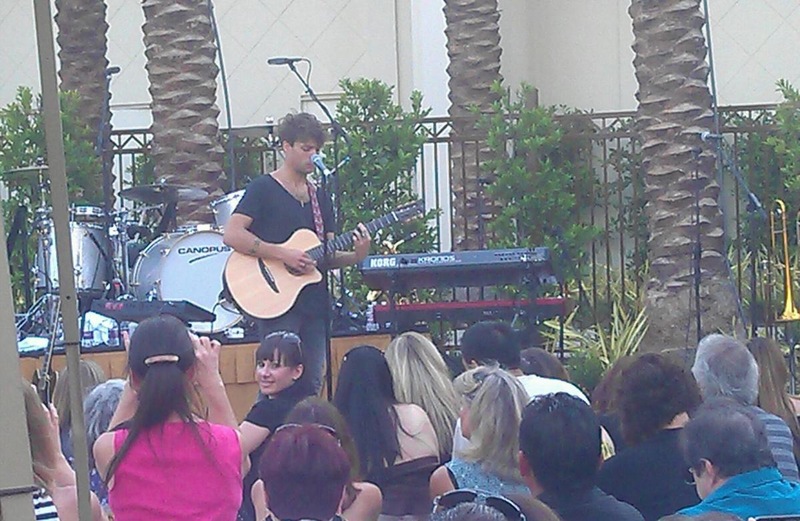 This was at a Private Listener’s Concert in San Diego. See me there up front. Photo taken by my dear friend, Cecilia Mohney. 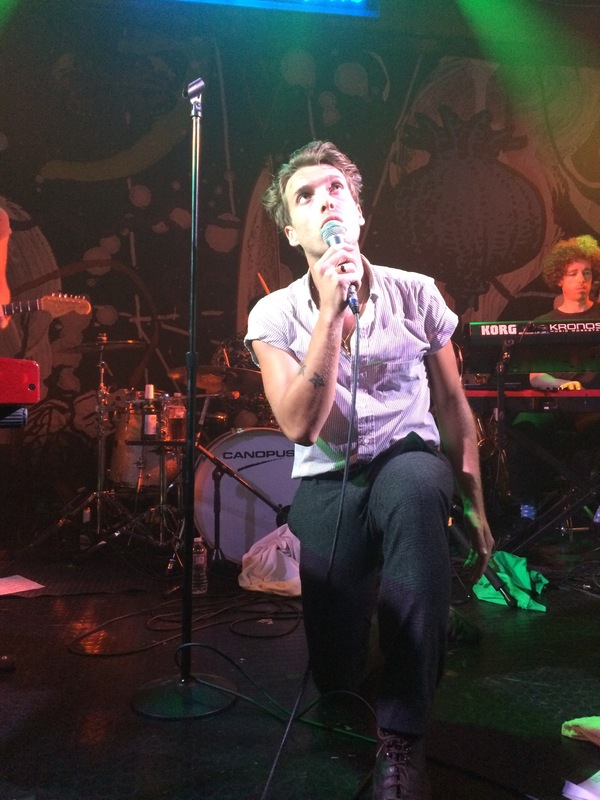 Concert at the Troubadour where I was also up front and center. The work in progress, that I haven’t been working on lately because I’ve been so darn busy with my last year of college, but I have been writing it out in my head constantly, will be called Just Rewind. I’ve posted about it once before. You can see that post here. Paolo’s song, Rewind describes Harlie’s (the love interest in Just Rewind) feelings so well. So, when I want to get into her head, I listen to that song on repeat. It really helps a lot. I’m hoping to get into the swing of things with this new school year, and get that book finished. It’s an extremely emotional story and one that I want to get absolutely right, so I think that’s part of my reluctance to work on it. But some exciting news. Paolo released a new album earlier this year in the UK, but it doesn’t release here in the US until September 16th. I thought it would be cool to give away his album from iTunes to a random winner that enters through the Rafflecopter below. I’ll run the giveaway from 9/1/14 to 9/10/14 and preorder the album from iTunes so the winner will receive it on the 16th when it releases. LOL – I should get photo credit! 🙂 Love Paolo and can’t wait to see him at the end of the month! You’re right, you should!! Gah, I can’t wait either. I’m having withdrawals.